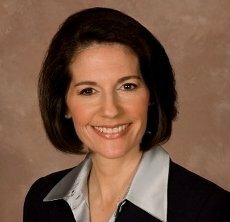 The Attorney General of Nevada, Catherine Cortez Masto, is turning up the heat in her battle with Bank of America and its subsidiary, Countrywide Mortgage. Masto recently requested the court's permission to amend an earlier complaint to include additional claims relating to mortgage origination and servicing. The stakes are high. Nevada is among the states that have been hardest-hit by the default and foreclosure epidemic and slumping home prices have hit the state's econony hard. Masto says criminal charges are likely coming to the industry soon, which could provide more ammunition for her foreclosure fraud case. "We’re in the middle of investigations right now looking at documents on homes that have been foreclosed that have been forged and materially altered," she said in an interview with VegasInc.com. "There are players involved in this process who are intentionally violating the law to make a quick buck. That always seems to be the impetus behind this type of crime." Masto said it's not just the big banks and lenders who are being investigated. "There are a lot of players in this process—from notaries to third parties to those hired by the servicers to prepare the documents and law firms to move through that process. I’ll be honest with you: We’re starting at the bottom right now," she said. • initiating or proceeding with foreclosures while consumer’s modifications requests were pending. • increased consumers’ interest rates and monthly payments, even though the consent judgment allows only modifications that decrease consumers’ interest rates, actually leaving consumers worse off. • required consumers to provide extensive documentation – including pay stubs, tax returns, and sworn affidavits -- to qualify for modifications, despite the consent judgment’s promise of streamlined modifications. "After two and a half years of lost implementation – of borrowers denied modifications, discouraged by repeated and futile efforts to obtain help, or already subject to foreclosure – the state no longer can get the benefit of its original settlement with Defendants," Masto said in a press release. Upon terminating the consent judgment, the state would be released to pursue its original claims against Countrywide for consumer fraud in originating, marketing and servicing mortgage loans. The complaint alleges that Countrywide failed to disclose and affirmatively misrepresented that loans like its Payment Option Adjustable Rate Mortgages (“Option ARMS’) and Hybrid Adjustable Rate Mortgages (“Hybrid ARMS”) were originated at low teaser raters, in effect only for a short time, and that payment on these loans would increase dramatically – often more than double the original rate – when the teaser period expired or the loans reset or recast. In addition, Countrywide did not disclose that consumers who made only a minimum payment, based on that low teaser rate, would experience negative amortization, which would cause them to fall deeper in debt.